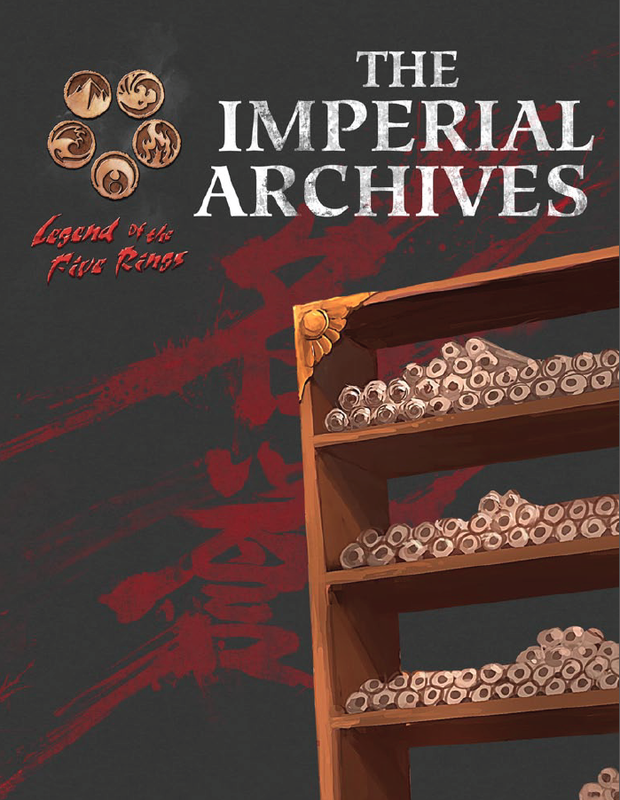 The Imperial Archives collects a variety of material for the L5R 4th Edition RPG that we have been unable to fit into previous books. From discussions of Shourido and the office of Shogun, to NPCs and Oni Lords, to a discussion of how to play Courtiers, this book has something for everyone! New mechanics include the Susumu Courtiers, Scorpion maskmakers, and an extensive discussion of options for enhancing shugenja spellcasting. Also included is the official Errata for L5R 4th Edition. I have the pdf but it won't open on my android phone. It works just fine on my computer however. The PoD looks really good. I'm going to see how good the quality of printing is for the PoD version of Unexpected Allies 2 before deciding how I want to purchase this. I'll wait for PoD, hope there aren't giant errors as in Strongholds. Ditto, please make POD available.